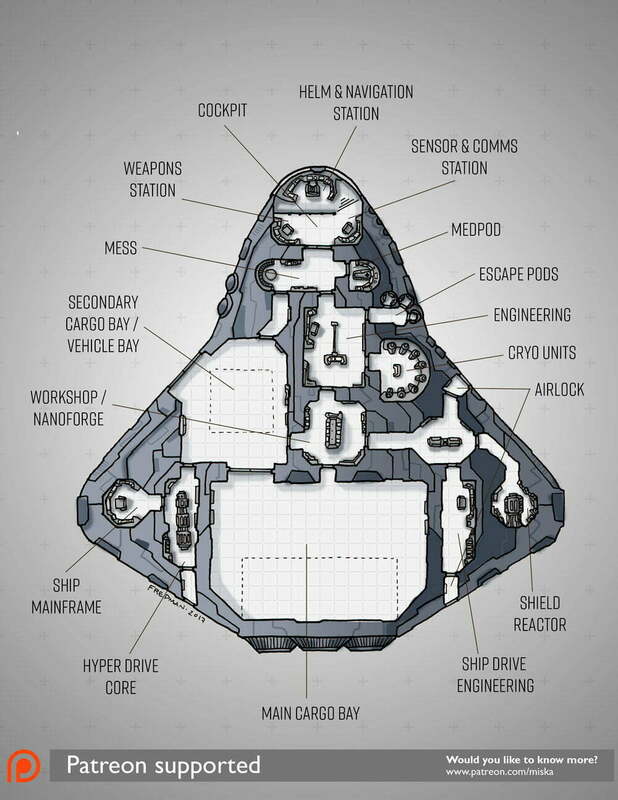 This ship layout is based on a map I did back in 2015. 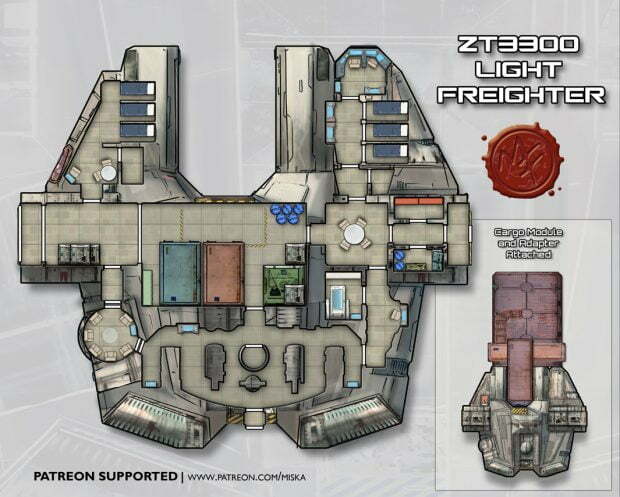 In that map this ship was a crashlanded ship broken in pieces. At the request of one of my very first patrons I took the crashlanded ship’s layout and “fixed it”. Efreet-class hypershuttle has a specialized low-emission oberman-engine and advanced electronic counter-measures systems. It is used mainly for low-profile personnel and material transportation, but also for long-range reconnaissance. Most Efreet-class ships are armed with HROF point-defense cannon and a drone dispenser system. Crew: pilot, co-pilot, engineer, medical specialist, weapons officer. Other: one six-wheeled all-terrain transport, two scout exoskeletons.